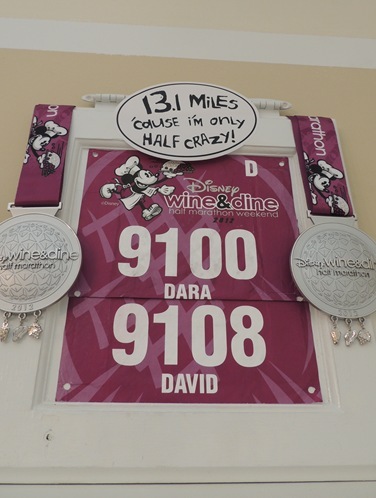 So we needed a way to display our beautiful half marathon bibs and medals. I decided to use one of the cabinet doors I got from the Re-Store way back in the summer. 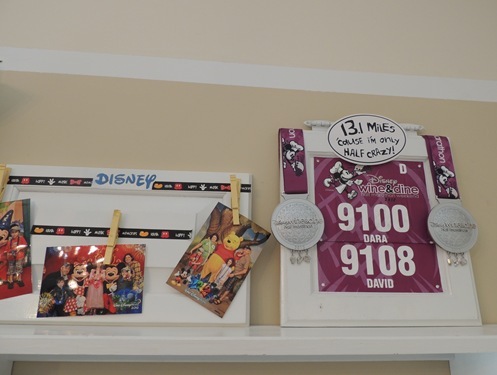 I attached the bibs with spray adhesive and used velcro to hold the medals in place. Here is what I came up with! 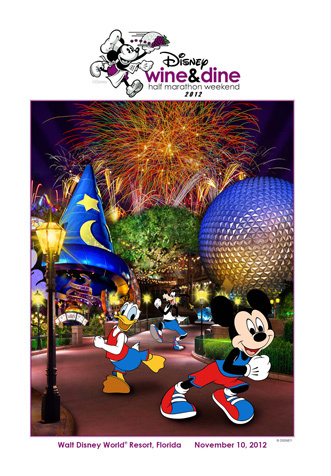 The next issue was how to hang up the display. 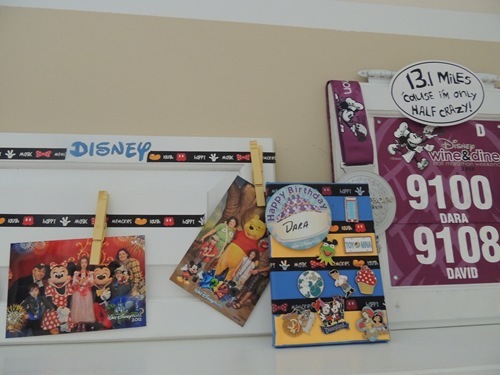 I remembered I had a shelf that I got at a garage sale and decided to turn it into a Disney display shelf. 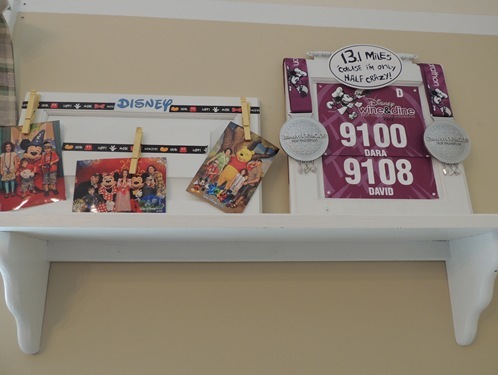 I had used another cabinet door to make this Disney picture display and had never hung it up! So now both sit on the shelf. Something was still missing though! 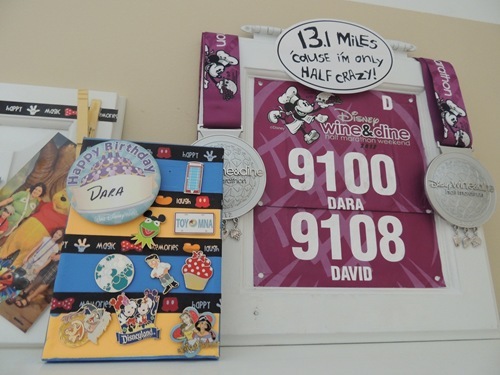 Here is what I came up with to display my Disney pins. I used a small canvas and painted blue and yellow stripes on it. I used Disney themed washi tape in between the stripes and stuck in my pins. 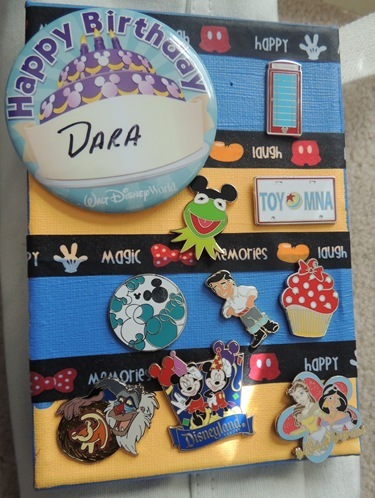 If I ever go back to Disney for a longer period and end up with more pins, I will have to revisit this, but for now, I love it! 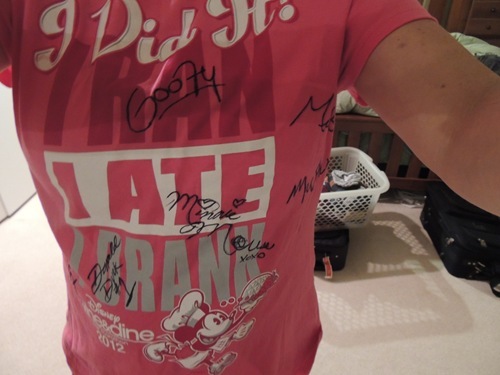 I also wanted to share my signed “I Did It” shirt! 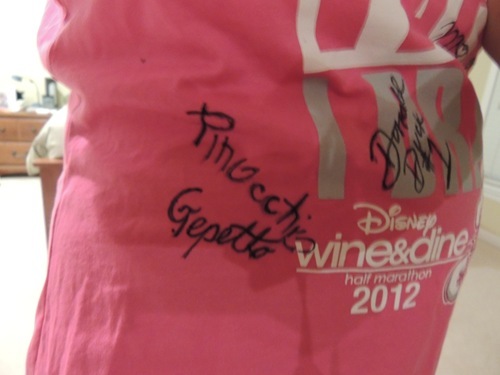 It was signed by Pinocchio, Gepetto, Donald, Minnie, Goofy, Mulan, and Mushu. Do you like my display shelf? I do! I may hang something else under it at some point, maybe the awesome poster I got at the expo!